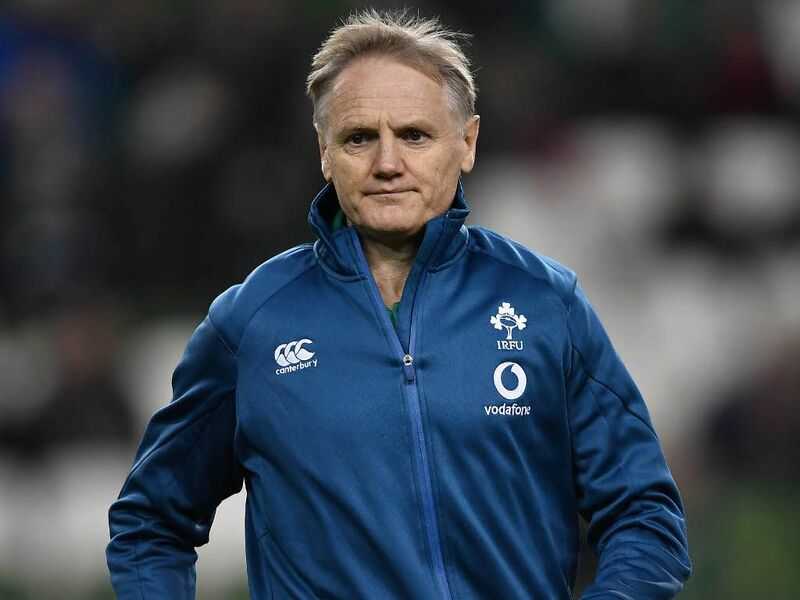 Ireland boss Joe Schmidt has ruled himself out of taking over the reins from Steve Hansen as the All Blacks‘ coach after the Rugby World Cup. He also outlined the evolution of his career as a way of explaining why he seems satisfied to pass up the chance to coach the world champions. “I’m an incredibly accidental coach,” Schmidt said, explaining how his career as a rugby coach began when he started teaching. “I’d been playing a bit of basketball as a point guard – I’m not the biggest man. “When I first started at Palmerston North Boys’ High I got told by Dave Sims, the director, that I needed to be involved in the co-curricular life of the school and I said ‘I’d love to coach basketball’. “He said ‘that’s brilliant, that’s on Friday nights it won’t affect your rugby coaching on Saturday mornings’. “At the time I was playing on the wing for Manawatu and it kind of went from there. Schmidt tried to brush aside any personal praise attached to his transformation of Ireland, who are the Six Nations defending champions, World Cup contenders and the second ranked team in World Rugby’s rankings behind New Zealand. “At the same time, to be honest, you can’t keep riding your luck,” he said. After leaving the Blues, Schmidt had success at Clermont, where he was an assistant to fellow New Zealander Vern Cotter, before becoming the head coach at Leinster and Ireland. “You’ve got to run out of luck at some stage,” he added. New Zealand Rugby (NZR) has long been interested in luring Schmidt back to the country of his birth. The NZR approached him to replace Wayne Smith at the All Blacks in 2017 but he opted to renew his contract with Ireland for a further two years. NZR chief executive Steve Tew has said he hopes Schmidt does not take a long break after the World Cup, and the national body may attempt to change his mind. But Schmidt’s mind appears to be made up which leaves current All Blacks assistant Ian Foster as the favourite to succeed Hansen. “I said to my wife that we’d get these 12 months done,” said Schmidt. “She said she thought I’d last 12 days potentially without needing to do something. “I have had an incredibly planned life for so many years. You get the daily itinerary from the office, they give me my schedule for the week, where I’m going and who I’m seeing.